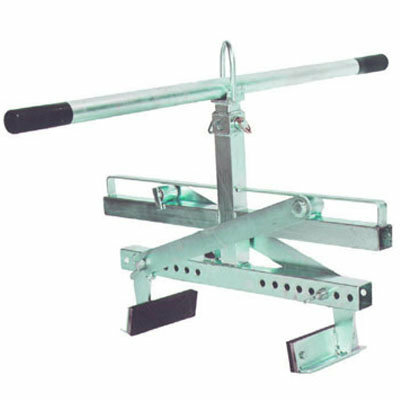 Especially suitable for handling concrete kerb stones. The one-sided angular supports which are placed on the kerb stone already in place enable an extremely narrow joint. Grips longitudinally so that it can be used in tightest spaces. No deflection of the plumb line. All models are equipped with a lifting eye.